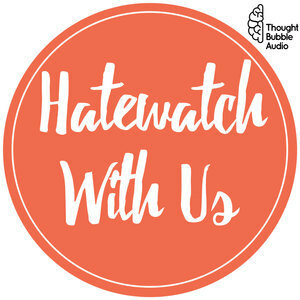 We found 3 episodes of Hatewatch With Us: A Variety Show for Sarcastic People with the tag “abc”. This week we are two hosts who are feeling confident about what we have prepared for you: two shows that have names, a show that gives us feelings and a show that doesn't, and a rundown of the ways our heros have failed us. We watched Jane the Virgin and the new Mike Schur show Abby's. We've got an episode of our Everwood Podcast Within the Podcast, a lot to say about narrative stakes, and some broad and varied hot takes on television pilots. Jane the Virgin spoilers end around 37-38 minutes. Don't forget to subscribe to our new podcast, Our Watch Has Ended, for all of your Game of Thrones content! Everyone's favorite Tuesday-Adjacent podcast is back to get a little meta as we talk about podcasts becoming tv shows and tv shows about podcasts trying to become podcasts companies......or something. We start with the new Zack Braff show Alex Inc., where we struggle with our feelings about Zack Braff, teenage magicians, family comedies, and 401Ks. Get the sco op on the upcoming Hatewatch With Us adaptation including episode synopses, the dream cast, and other hot details. Then we move on to discussing the idea of adapting podcasts into television. We ponder deep questions like which podcasts are television worthy, what podcasts would we hate to watch, and play our favorite game Listen to Kirstie and Kelsey Google. Our main take away was Zack Braff isn't great, ABC needs to stay in their lane, and Roman Mars and Kevin McCloud should face off in a competitive reality show. Send in your pitch package for the Hatewatch With Us TV Adaptation! Best one gets pitched to Hulu.